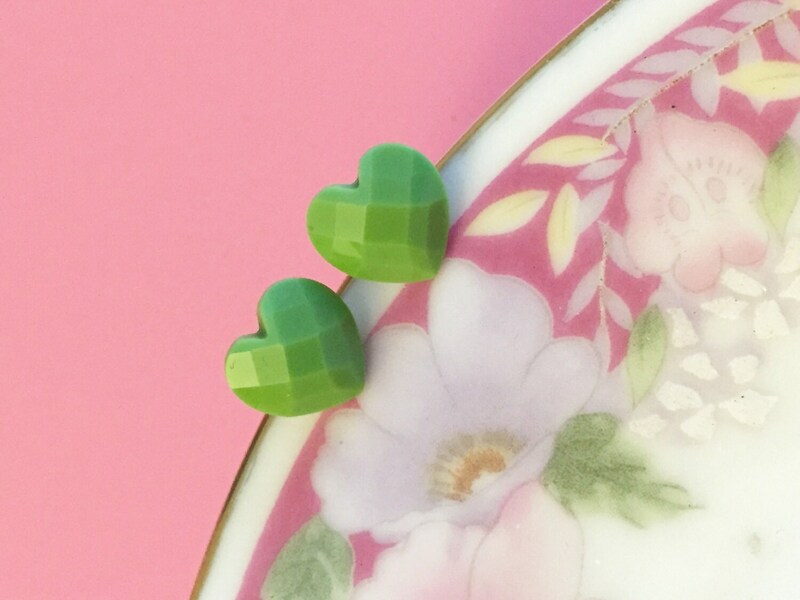 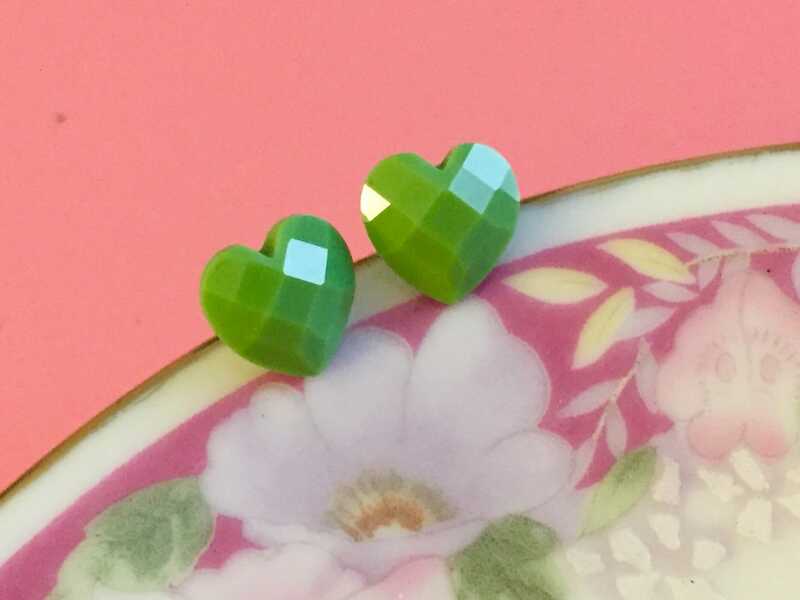 These lovely earrings are made with vintage resin faceted heart cabochons in a pretty sage green. 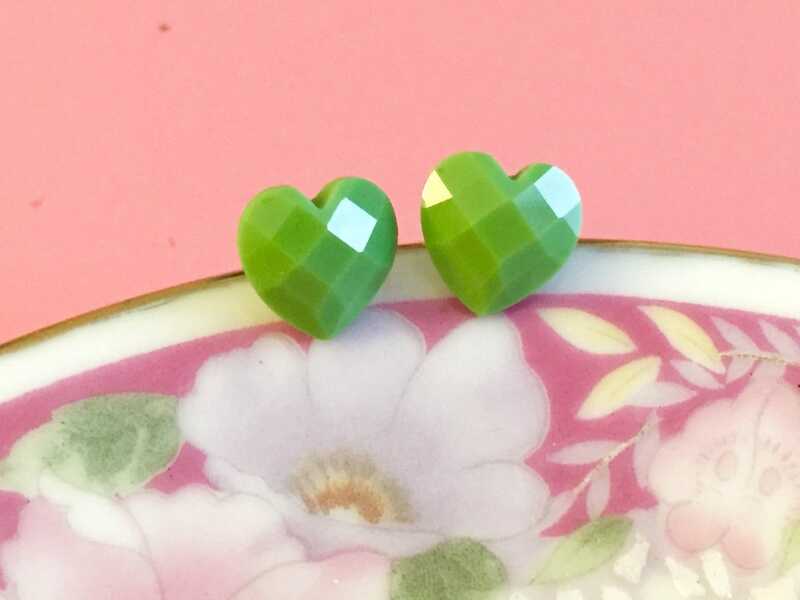 You are purchasing a pair of earrings like those shown measuring approximately 3/8 inches (10mm) in diameter. 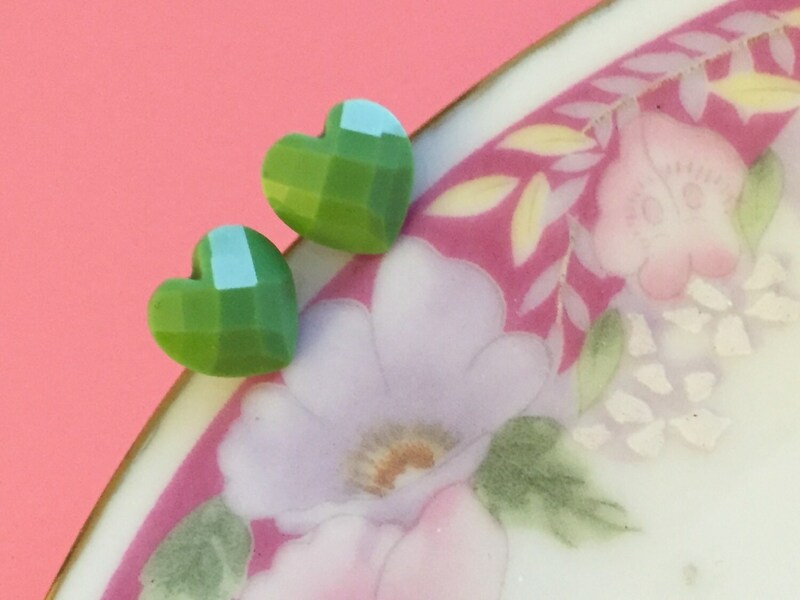 The ear posts are stainless surgical steel.